If you’re confused about what the function of each Silhouette tool is, you’ve come to the right place. Here we’ll give you a brief description of each tool and show you how it’s used. 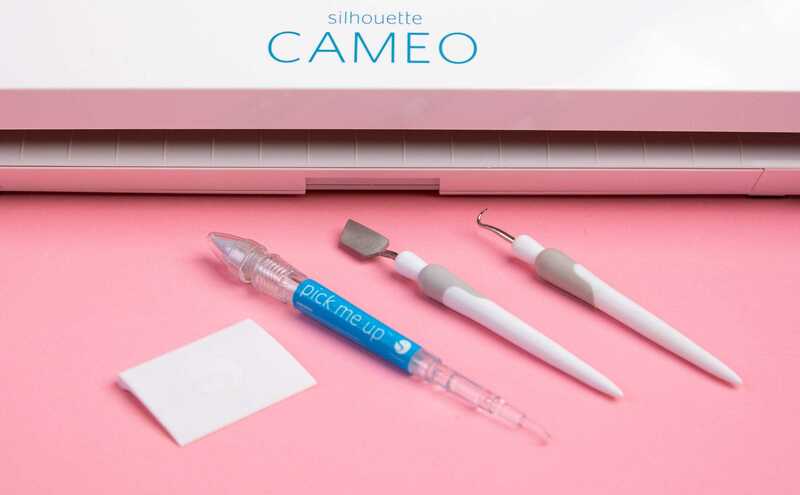 Use the Silhouette hook tool for weeding vinyl and heat transfer cutouts. Simply use the hooked end to remove unwanted pieces until only your design remains. 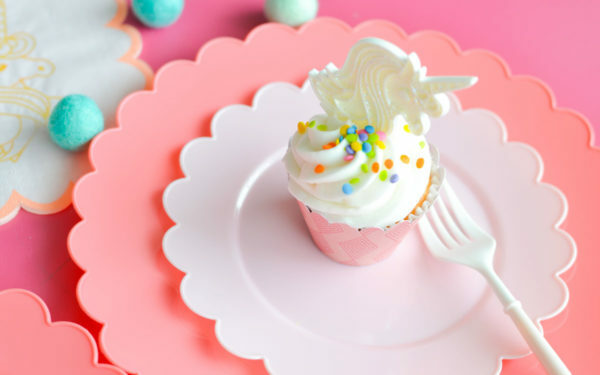 Use the Silhouette spatula tool to lift delicate designs from the cutting mat without curling or tearing. 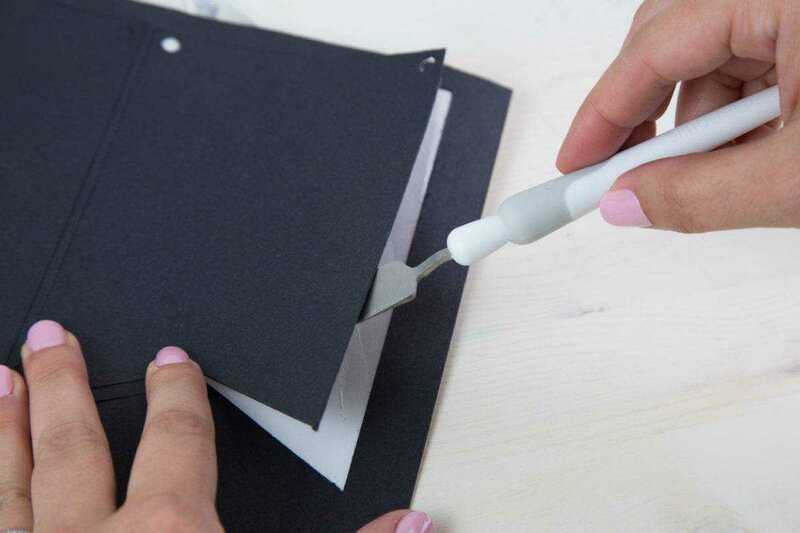 Slide the flat end under your cut-out design to loosen it from the cutting mat. 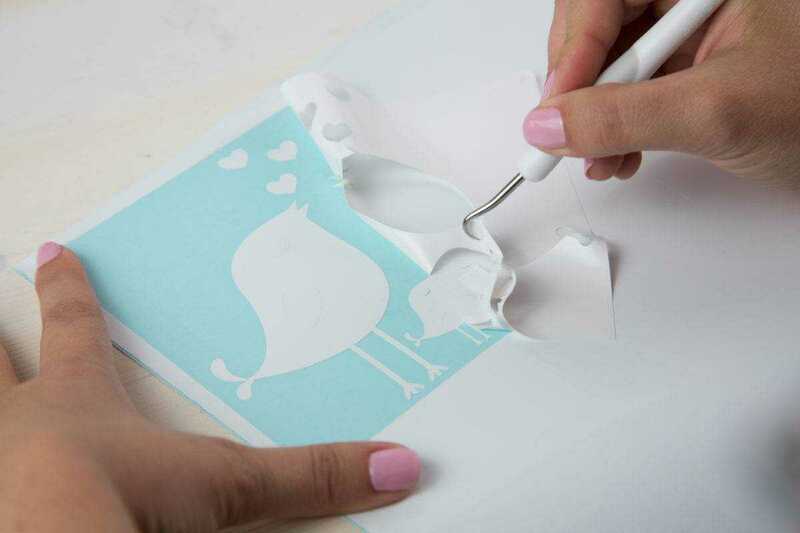 Use the Silhouette scraper tool to apply transfer paper to vinyl projects by covering the cutout artwork with transfer paper and rubbing the scraper back and forth against the transfer paper until it is thoroughly bonded to the vinyl. Use the scraper again to transfer the vinyl onto the project surface from the transfer paper. Remove the lid and twist top clockwise to expose sticky tack. Twist top counterclockwise to stop the flow of sticky tack. Peel off old sticky tack as it looses its adhesive. 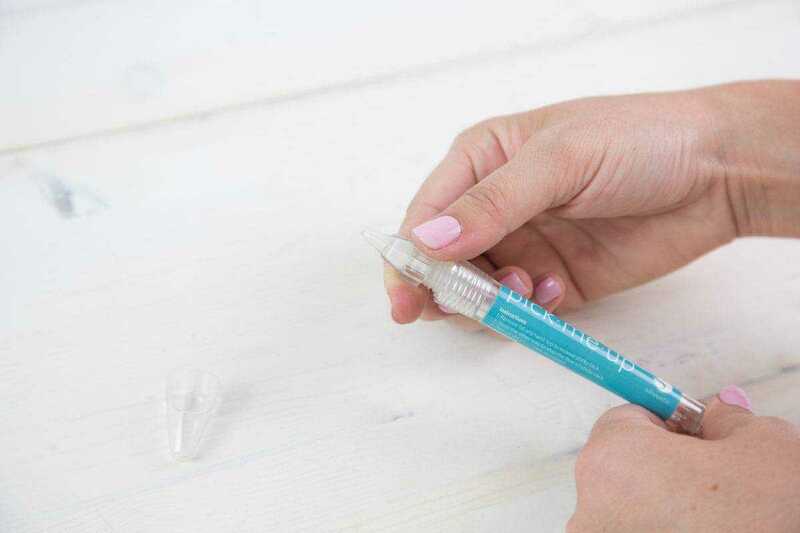 Use the sticky tip to pick up rhinestones or other small pieces. Remove the wand and use it to help position pieces as needed or as a pick to pop smaller pieces out of your design.